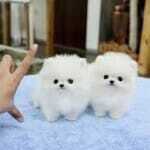 There are two types of Pomeranians that are officially registered, namely the standard and non-standard. However, people believe numerous other cross-breeds to be Pomeranians too. Supposing that you take your dog to the Westminster Dog Show, your dog will be subjected to a number of tests, following which its breed will be detected. If it belongs to any of the two standards recognized by the AKC that is mentioned above, your dog is fit to participate if not, your so-called Pomeranian is a hybrid. People believe in the existence of mini-Pomeranians and teacup-Pomeranians, although, there are no such things in reality. Pomeranians are either standard or non-standard as decided by the AKC, and that is about it. 2 Why Choose a Professional Breeder? Let’s face it! Puppies are a lot cuter than dogs. However, they deserve equal, if not more, attention as they grow old. Pomeranian pups are little fur-balls that can be heartbreakingly-cute. Some people buy pups and expect them to remain just as cute as they grow up. This is not to happen in most cases. However, in rare cases we have found grown-up dogs that are just as cute as pups. How does this occur? This occurs due to the significance of their blood-lines. 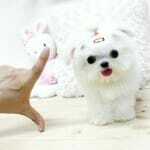 Pomeranian puppies, for example, can grow up to be cute, but lose their soft and furry nature. This is not uncommon, as it meets breed standards. 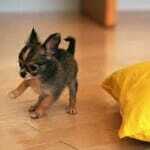 Being a dog-owner, you need to be aware of these traits and accept the different phases of a dog’s life. Despite featuring the long muzzle head and elongated, furry chest, a Pomeranian maintains a standard size throughout its life. Some of the most common variations that we usually come across on Pomeranians are the texture, color and pattern of its fur-coat. To a dog-lover, physical appearance is not important. However, to a show-dog owner, these attributes are of primary importance. In the end, the dog does not care about what a human looks like. They love us unconditionally! Why Choose a Professional Breeder? 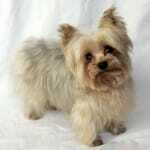 We know that professional breeders charge a great deal more than what a standard pet shop charges. 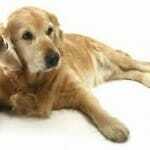 Here is a list of the most common questions that prospective dog-owners ask. Is this extra amount worth paying? What are the benefits of dealing with a licensed professional? We tell you! While pet stores keep track of a puppy’s health along with the detailed description of the parents, professional breeders go the extra mile, ensuring that you receive all information that you desire. While pet store owners have no record of a puppy’s lineage or ancestry apart from its parents, professional breeders keep accurate records of each and every one of the family, ensuring that owners get purebreds. Professional breeders also take special care of the mother during pregnancy, while breeding out any genetic discrepancy, ensuring that the pups are healthy. Genetic problems require detailed attention and scrutiny at levels not possible by your generic pet store. 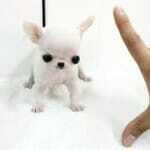 Hence, if you want to buy a puppy that is flawless, paying the breeder is worth every penny. If you are looking for a reputed dog breeder, you need to frequent dog shows. By doing so, you could get a chance to meet the parents of a purebred litter, which in turn could lend a general idea of what you are looking for. The Pomeranians that we see today were not always of this size. They used to be the size of Beagles, weighing around 30 pounds, a hundred years ago. Today a general Pomeranian weighs approximately 4–7 pounds. If you are looking for a purebred Pomeranian, stop looking for the ones that are unique in terms of shape and size. Hybrid dogs are not always the healthiest, which is a reason for concern. 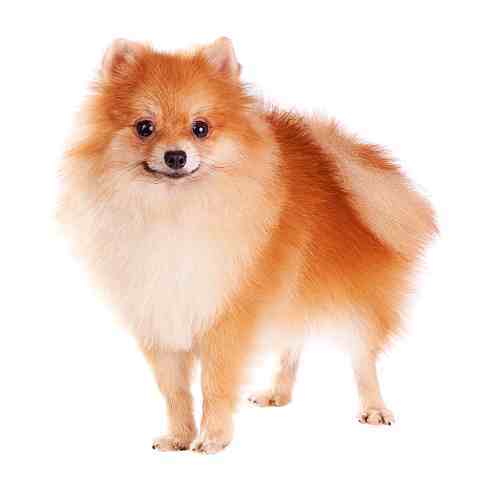 Your options for selection will be limited to the tint and consistency of the fur, when it comes to Pomeranians. The AKC has over two-dozen registered color and texture variants that your Pomeranian might sport, apart from nine distinct marking patterns, leaving prospective owners with a huge array of combinations to select from. The fur-coat color range includes pure white, chocolate, orange, cream, blue & brown and black & tan, along with a tricolor combination. Body marks can include white markings, tan markings, parti-colored, brindle, sable, tan markings and mask, etc. The American Kennel Club holds vast knowledge of information regarding a variety of dog breeds, including the Pomeranian. You could also visit the American Pomeranian Club’s official website, in your quest to collect breed-related information. The third most valuable source is Pomeranian.org. Apart from these official websites, you could also visit websites of reputed breeders. These websites will give you important updates about the Pomeranian’s history, apart from offering information related to puppies that are on sale, images of their parents and dogs that were sold recently. This helps a potential information-seeker or buyer, gather the updates that they require. While some breeders simply put up images of the puppies that are on sale while quoting their expected prices, others endure greater trouble to provide extra information related to the breed and the ancestry. Some breeders will list a few requirements that potential customers need to meet before buying a puppy while others want to meet buyers face-to-face before finalizing a deal. This is a great initiative, as a puppy is more than a mere commodity and commands respect no less than a human baby. If you can spare some time, make sure to attend a few reputed dog shows, as this is an efficient manner to get in touch with reputed dog breeders and check out the quality of animals at their disposition, without being obliged to make a purchase. If you truly want a Pomeranian puppy, make sure to check the color and markings on its body. This confirms a purebred. If you are looking for show-dogs, you need to keep quite a few decisive factors in mind. However, if you are looking for a trust-worthy companion to accompany you through the journey called ‘Life,’ all you need is a furry-friend on four-legs who wags his tail every time he sees you!